UltraLevel, an IT solution provider, moved to its new headquarters in the 123.Net building along Northwestern Highway in February. Recently the company completed renovations making the space more like ‘home’ to its staff, customers and students. 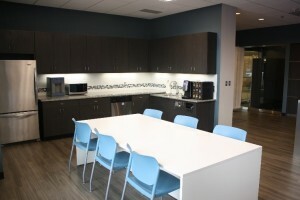 Aside from a few offices within the suite, the entire space has been renovated. New carpet, paint, furniture, kitchen appliances, granite counter tops and so much more really makes the space come to life. 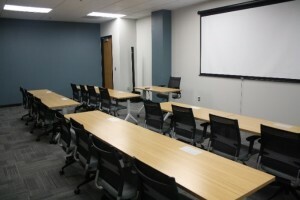 The results are a welcoming reception and customer lounge, a fully functioning kitchen and employee lounge, two classrooms for UltraLevel’s IT certification training and testing programs (open to anyone), board room and an additional office and meeting space. The welcoming tenants/community at 123.Net and central location in the metro Detroit area is what brought UltraLevel to Southfield. Student engagement is also a top priority of the company – a mentorship program is in the works for students from Lawrence Technological University to further tap Southfield’s technological resources. UltraLevel services involve quality solutions ranging from data protection to private or outsourced clouds to asset and logistics management and IT certification training. The company services organizations from a variety of industries all over South Michigan, in addition to Indiana and Ohio where the company has additional locations. 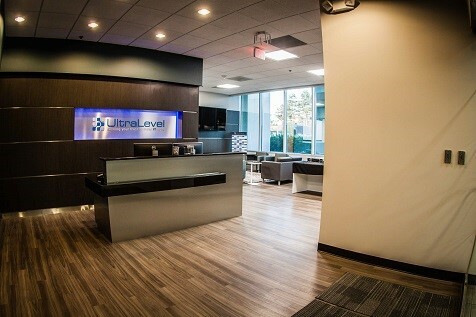 As Oakland County grows in its technology expertise, more tech companies like UltraLevel are flocking to its communities, and particularly to Southfield. UltraLevel is now involved with Tech248 and hopes to host one of the organization’s events next summer.